The Amazon Echo could be considered the best smart speakers on the market. The Echo functions as a smart home assistant, Bluetooth speaker, trivia machine, intercom system and many more, and it all begins with that iconic light ring. But it would be remiss if it wasn’t said that not everyone is familiar with the different colors that appear on the light ring from time to time. That said, here is a quick and easy guide to what each of the colors and patterns that appear on the Amazon Echo mean. Note: These notifications are universal to all Echo speaker devices, regardless of generation. They do not apply to the Echo Show or Echo Spot, where the notifications pop up on screen. This light appears when you first supply power to the device. It indicates that the device is performing its initial setup, or that the device is powering back on after power is restored. The more cyan that appears while spinning, the closer the device’s setup is to finishing. This light pattern shows up after you utilize the wake word for your Alexa device to issue a request. If you’re getting frustrated with seeing this light on every single Echo in your home when you try to talk to a specific speaker next to you, consider changing the wake word for each individual Echo device in your house. The device is responding to your request. Depending on the request, it may pulsate alternating blue and cyan for longer periods of time, but no longer than 3 seconds, depending on your wi-fi connection and what the request is. This light pattern is typically seen in setup mode. This light shows up when the Echo device is connecting to the Wi-Fi network that you specified in the Alexa application. This shows that your Echo device’s microphone has been turned off. Press the Microphone button to turn the microphone back on. Expecting an Amazon order delivery? Someone left a message for you? The pulsing yellow light indicates that there is a message or a notification waiting for you. When this light appears, simply say Play my messages, or What are my notifications? This is related to the Skype, Alexa Communication, and Drop In features. When this green light pulses, it means that you are either receiving a call or that someone is Dropping In on your device. This light pattern only shows when you’re on an active call or a Drop In is active on your device. This light shows up if there is an issue with your Wi-Fi connection or setup. To repair this, you should either restart your Echo device by removing it from power for three seconds and plugging it back in, or restarting your network hardware. Amazon has more on fixes for this in the Echo Device Help section of its website. This means you have enabled Do Not Disturb on your Echo device manually, or have set up a Do Not Disturb schedule in the Alexa application. Now you know what each light means when it pops up on your Echo device. No more frustratingly scouring Google for you Echo users, just the satisfaction of being able to understand what each of the colors in this Echo rainbow of notification lights means to you. WhatsApp Beta 2.19.106 for Android has surfaced with a contentious yet compelling security feature which restricts the users to take screenshots of their peer contact’s status updates or the chat screen. According to the WABetaInfo, an authentic source for WhatsApp features related information, the world most popular messaging app is right now beta testing a curative feature that will proffer users a choice to restrain their contacts from taking a screenshot of the status update or their private chat window. This privacy-related security feature is reckoned to reach with another user-verification characteristic for Android phones, which would use fingerprints. Whereas some believe that this fingerprint feature would win the screenshot confinement feature. With 1.5 billion monthly active users, WhatsApp is the most popular and broadly used mobile chat and messaging services across the globe. The Whatsapp messenger, which has built our lives comfortable by connecting our friends and people like never before, however, appears to be less secure. The very famous pragmatic messaging platform is shrinking the regular way of communication hitting traditional telephone calls or an email system, where even the tone of speech becomes more friendly and cozy than usual, which is where the predicament springs. It blooms when socially active people sprang up bagging around smartphones with modern social media platform apps in just a tap, screenshots have emerged to be a bullying trait. As of now, Snapchat is one such medium that will curb out the tricky and deceitful “screenshotting”. As for Instagram, it is reported to be inquiring a notification feature on supporting users to discover their betrayers. Even Facebook proffers this security feature called “Privacy shield” where screenshots are totally not allowed or would trigger alert to the opposite party. So WhatsApp in the line and motive to privacy factor, previously would not alert people when someone takes a screenshot of their chat window which is the compelling menace to be sorted out. But this curative feature of Whatsapp to explicitly restricting users is just to protect the privacy in the platform. That would obviously strengthen the user trust over the messaging app, by simply constraining third-person ingress to potentially delicate personal information. It does absolutely make acumen in a productive way because, at present, it is really just like that anyone in the contact list could take a screenshot of a status update or the concern chat window and share it with someone else without the owner’s consent. Moreover, many of us would have done this at any point in time. The introduction of this privacy feature in the beta version may not solely prevent the unapproved spread of personal data, but it will clearly appear as a barricade, which could reduce the spread. The public release of this questionable feature, recognised recently, is unknown yet. Beta version’s features can be subjected to change over the term, and can even get undividedly conserved in some synopses. Some additional details like how this will be deployed for group chat window are still left opaque. We comprehend where WhatsApp is evolving from and it’s pretty likely to be pushed with exposition, just like everything else on the internet. The Nintendo Game Boy turns 30 today, and to celebrate this amazing occasion we’ll be running a series of related features this week, right up to the big day. 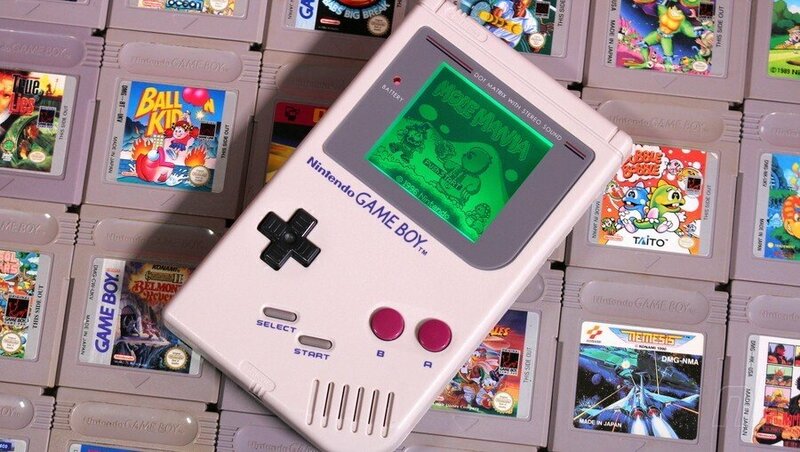 Friday 21st April 1989 – the day that the Game Boy launched in Japan. Thirty years ago today the video gaming landscape would be forever changed as Nintendo opened up the new frontier of portable gaming to the masses. The company’s Game & Watch line let you take limited gaming experiences on-the-go, but the Game Boy was a different beast entirely. The 8-bit machine with the 160×144 pixel LCD screen might have been modest in the specs department, but it was just powerful enough to offer deep gaming experiences, with the best examples rivalling those on home consoles. More importantly, its limitations proved to be strengths in the long run; that blurry monochrome screen used significantly less power than a backlit colour equivalent, and therefore gave the portable decent battery life – an essential factor to consider when your handheld relies on AA batteries to function away from a wall socket. Primarily the work of Satoru Okada and Gunpei Yokoi, the console was designed to a specific price point and goal; to be a practical portable device. Rival companies got carried away with the technical possibilities and contemporary handheld consoles with far superior specs fell by the wayside as Game Boy marched on. Gunpei Yokoi’s design philosophy – using proven, inexpensive components in new and interesting ways – continued through Nintendo’s handheld line and carried over to its home consoles with Wii. The Switch itself, and novel experiments such as Labo VR, show that this approach continues to keep the Kyoto company in rude health. Of course, it’s software which makes or breaks any console and the humble Game Boy could never have endured so long without its catalogue of incredible games. Obviously, it had the archetypal killer app in Tetris, and many still insist it’s the finest version of Alexey Pajitnov’s puzzler. The story of its convoluted journey to the console is well worth investigating – a thrilling combination of guile, subterfuge and blind luck that went on to shape Nintendo and the video game industry at large. 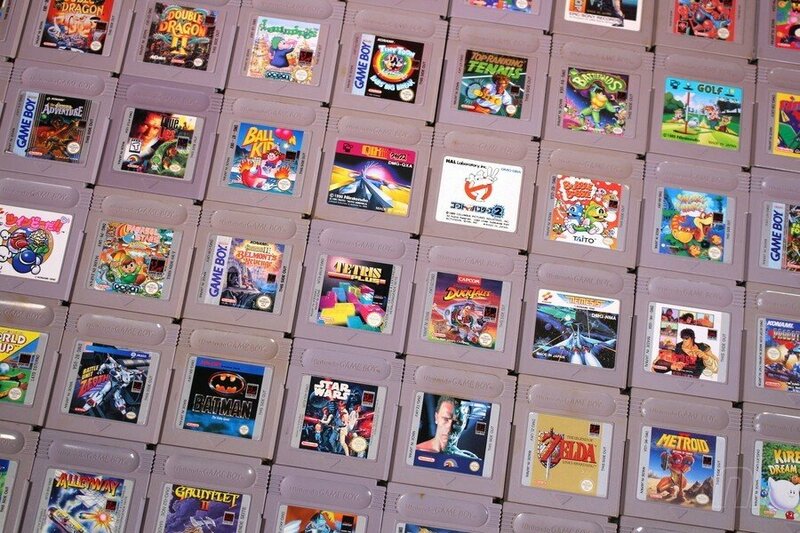 Any video game company would be overjoyed to have a game with half the appeal of Tetris on its books, but after seven years – when you’d expect the console to be winding down – the Game Boy got the biggest second wind in video game history with the Japanese release of Pokémon Red & Green in 1996. A smaller, lighter revision of the hardware, the Game Boy Pocket, also arrived that year, and the console’s true successor – the Game Boy Color – would launch worldwide two years later alongside the western release of Pokémon. Although this marked a transition away from the OG hardware, the Game Boy line continued to enjoy almost 100% backwards compatibility up until the Micro variant of the Game Boy Advance in 2005. While Tetris and Pokémon were the system sellers, there’s a vast library of games released for the system. The following list showcases the very best titles. You’re sure to find lots of ‘lands’ here – someone at Nintendo HQ decreed that the diminutive handheld simply couldn’t contain massive ‘worlds’, so Super Mario Land ushered in an era of ‘Land’ games from the likes of Kirby, Donkey Kong and Wario. As with our previous lists of the 50 best Switch games and 50 best 3DS games, the ranking here is governed by the game’s user rating on this very site – many thanks to all of you who voted for your favourites last week! Just as before, logged in users can interact and rate the titles directly on these pages by hovering over the rating, or alternatively from each game’s individual page. To be clear, the games listed here are for the original Game Boy only – there are no backwards compatible ‘black cart’ Game Boy Color games included (unless they happened to also receive a separate release for the original). If it says ‘Game Boy Color’ on the box, you won’t find it below! Can’t see your favourite on the list? Head to our library of Game Boy games (or click the games tab at the top of the page) and input your own ratings. We’ve reduced the eligibility from fifty votes to twenty for these vintage games, so we fully expect this to be a little more fluid than the other lists, especially in the initial stages. It’ll be fascinating to check back and see how the list evolves! The Game Boy port of this pill-dropping puzzler offers a decent game, although it probably isn’t top of the must-have puzzler list. 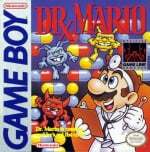 Unlike Tetris, where the colours of the blocks are irrelevant, Dr. Mario’s pills are a little more challenging to keep track of, especially on the original system’s blurry screen. Still, if you’re a prolific practitioner in the medical field, you could do much worse than this falling-block title with a twist. The sequel to Fall of the Foot Clan, Teenage Mutant Ninja Turtles II: Back from the Sewers gives the player the choice of the four turtles at the start of a level and it’s Game Over once you’ve gone through the lot. Leonardo, Donatello, Raphael and Mikey all control slightly differently and with chunky sprites and rockin’ music, Konami managed once again to deliver satisfying Ninja Turtle action on the Game Boy. The Game Boy was, in many ways, the natural evolution of Nintendo’s Game & Watch line of one-shot portable devices, so the ability to play those games on one cartridge seemed like an acknowledgement of that handheld legacy. If you liked the originals, this collection is a must-have. Both the originals and remakes, which combine simple gameplay and subtle strategy, are here to enjoy and the newer versions play differently enough that you’re quite likely to consider them new experiences in and of themselves. The musical and visual presentation is fantastic as well, and the entire package serves as a relic of a truly magical time in gaming. Or, perhaps, two truly magical times. 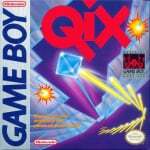 QIX is a classic game that suffers — if it suffers at all — from being born too soon. You essentially draw lines to cordon off areas of a rectangle for points – the larger the area, the better your score. Sounds simple but it’s a great deal of fun, and satisfyingly simple to learn. This is definitely a game that some will find divine, while others will be puzzled by its popularity. It’s quick to learn, easy to play and impossible to truly master. We can’t promise you that you’ll like this game, but if the game sounds even slightly appealing to you, we’d confidently say that it’s worth the risk. Wario Blast is a Bomberman crossover that sees the our favourite antihero dropped into the world of Hudson Soft’s brilliant top-down bomber. Released in Japan as Bomberman GB, you get the classic maze combat of Hudson’s game with a dusting of Nintendo’s IP and Wario’s dastardly antics. Sounds good, no? Yes, it is. Offering gorgeous visuals, a great soundtrack, an excellent new boss, a fun new weapon and some surprising improvements on the NES originals, Mega Man III is a solid outing. The difficulty might be a bit high, but E-Tanks cushion the blow for all but the most masochistic Mega Man fans. 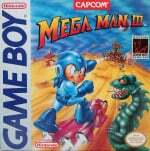 While Dr. Wily’s Revenge and Mega Man II had their respective merits, this is the first of the portable series that was a great game in its own right. Fortunately, it was by no means the last. 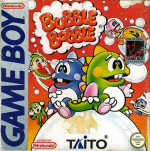 The Game Boy port of Taito’s arcade platformer Bubble Bobble was developed in-house and it’s a great rendition of the original game that loses little in its transition to the portable’s little green screen. Bub the Bubble Dragon uses – you guessed it – bubbles to defeat enemies and work his way though 100 levels as he searches for Moon Water for his brother, Bob. It’s a classic and the GB port is an excellent way to play. Publisher: Irem / Developer: B.I.T.S. As with any port to the Game Boy, cuts are inevitable, but this still delivers an authentic R-Type experience. A slower speed, fewer enemies on screen and the omission of two levels make for an easier version. However, this port still manages to provide a challenge and it works well on the hardware it was designed for, with good controls and clear visuals. It may be a shorter gaming experience on the Game Boy, but it’s still a very good one. A Game Boy version of the SNES original, this was developed by Factor 5, the studio behind the Super Turrican games on the Super Nintendo and the Star Wars: Rogue Squadron series. The levels and overall structure were altered and a password system was added but it still manages to deliver a serviceable game of Contra on a system with the processing power of a modern day toaster. Something of hidden gem in the Game Boy catalogue, Catrap is a platform puzzler credited with being the first game to have a ‘rewind’ feature. You’re tasked with defeating monsters in order to escape 100 levels of ladders, blocks and other objects. Stages get more and more devious, of course, and a level editor enables you to create your own. If it looks a little basic from the outside, the game has a giant amount of content and could keep you busy for weeks. It was arguably overlooked back in the day, but it’s an innovative puzzler that deserves a bit of attention. The BMW 8 Series doesn’t actually have a ton of natural competition. There’s the Lexus LC500 but that’s significantly under-powered and there’s the Aston Martin DB11 but that’s significantly more expensive. Aside from that, there really aren’t a ton of other competitors for the 8er. Porsche 911, maybe? That’s more of a sports car, not a GT. Jaguar F-Type? Smaller and cheaper. However, it will be getting a much closer competitor soon, in the next-gen Mercedes-Benz SL-Class. Admittedly, the SL-Class is still on sale but it’s much more of a squishy luxury convertible than a proper sporty GT. The SL-Class has fallen far from the principles of its “Sport Lightweight” name. However, according to Autocar, the folks in Stuttgart are planning on giving it a sportier edge for its next generation. That sounds exactly like a proper GT car to us; a perfect compromise between dynamics and comfort. It’s also the same design brief as the BMW 8 Series. The new Mercedes-Benz SL-Class will also be built on a new modular architecture that will also underpin the next-gen AMG GT. It’s apparently going to be called ‘MSA’ (Modular Sports Architecture), which will be the basis for the brand’s more exclusive sports cars. What’s really interesting is that Mercedes-Benz is punting SL-Class duty over to AMG. It’s actually a good move, if you ask us, because it puts one of its most iconic sporty cars in the hands of its sportiest minds. “Handing over SL to AMG as the performance and sports car brand is great. There’s lots of responsibility behind that, and I’m really honoured.” said Moers. We’re happy to hear this, to be honest. 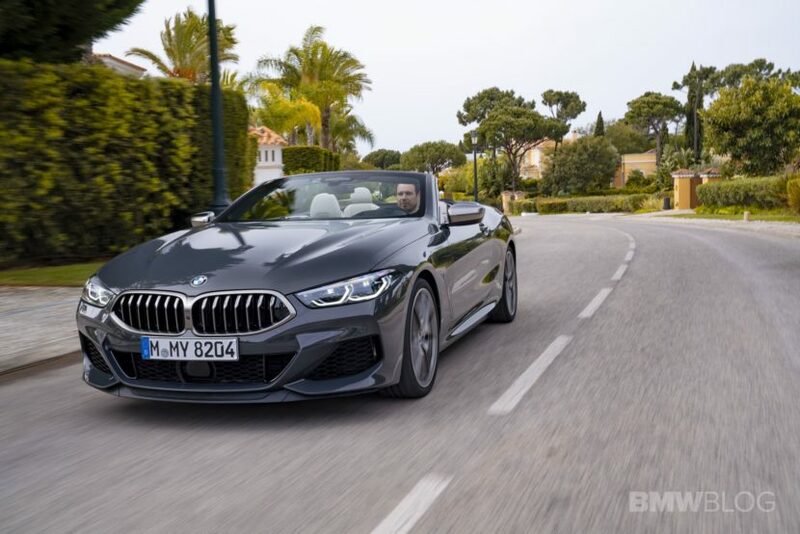 Competition breeds excellence and we can’t wait to see the match-ups between the BMW 8 Series and the new Mercedes-Benz SL-Class. OnePlus is making a big change to its product upgrade cycle this year. Unlike previous year, OnePlus is going to launch two new flagship phones. The second model, dubbed as OnePlus 7 Pro, is set to come with newer screen design and faster processor under the hood. One of the biggest differences between OnePlus 7 and OnePlus 7 Pro is going to be the screen. While the base model will have a flat screen, the Pro model will offer a dual-curved display, similar to Samsung Galaxy S10 and Huawei P30 Pro. This is a big change for OnePlus phone as dual-curved display offers a more premium look and even opens window for Galaxy Note 9-like tabs UI. Another big upgrade is the camera. OnePlus 7 Pro is set to come with a triple-rear camera setup – a first for OnePlus phones. The triple-rear camera setup is said to consist of 48-megapixel, telephoto and an ultra-wide sensors. The base model will have dual-rear cameras including 48-megapixel primary sensor and telephoto secondary sensor. Some of other top upgrades include a 4,000mAh battery with faster 30W Warp Charging, USB 3.1 support, and stereo speakers. The phone is also said to come with better vibration motors, hinting at optimisations for games such as PUBG Mobile and Fortnite. The display is expected to sport QHD resolution. Note the current OnePlus phones offer full HD resolution. Rest of the features and specifications are going to be same as OnePlus 7. This includes 6.4-inch flat display with a waterdrop-styled notch with faster 90Hz refresh rate. The smartphone is expected to run on Qualcomm Snapdragon 855 processor with up to 8GB of RAM. / Water can pick up arsenic from geological, agricultural, or industrial sources. Arsenic is a trace element in rock and sediment and can contaminate groundwater naturally from geological sources or from human activities, such as mining and run-off from agricultural and industrial sources. Long-term exposure to high-levels of arsenic are associated with skin disorders and increased risks of certain cancers, diabetes, and high blood pressure, according to the Centers for Disease Control and Prevention. Some studies have also linked arsenic to impaired intellectual development following exposure early in life. Yet, this is not the first time Starkey Water has run into issues with arsenic. From late 2016 to early 2017, Starkey recalled 2,000 cases of water over arsenic levels above the federal threshold. Additionally, some public health experts and researchers say the federal threshold is too high. As such, some states have set different arsenic standards for their water. New Jersey, for instance, set the maximum allowable arsenic level in tap water at 5ppb. But the Garden State still goes by the federal 10ppb limit for bottled water. Scientists hired by CR recommend that regulators cut the threshold down to 3ppb. In their analysis of 130 bottled waters, CR found six brands that had levels at or above 3ppb. In addition to Starkey and Peñafiel, those brands are Crystal Geyser Alpine Spring Water (3.8ppb), Danone’s Volvic (4ppb), and two regional brands, Crystal Creamery (5ppb) and EartH₂O (3ppb). 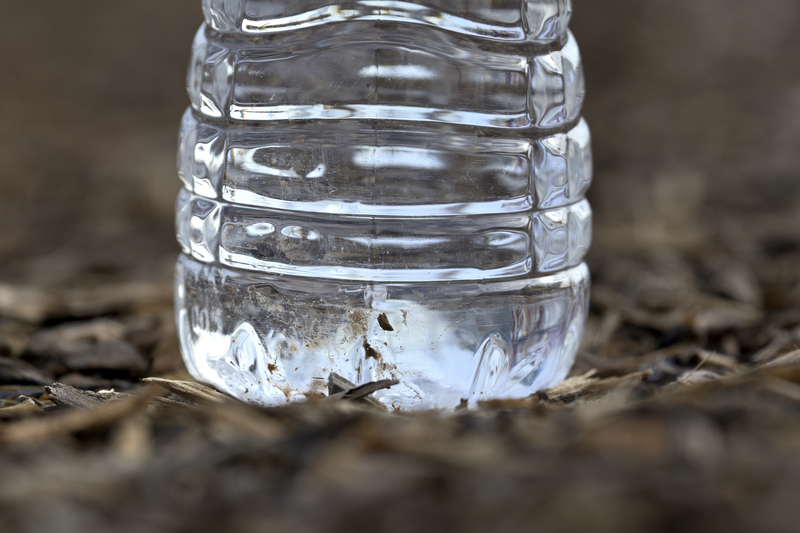 Given its natural sources, avoiding arsenic can be difficult in some instances—but the multibillion-dollar bottled water industry in the United States is not one of them, according to critics. The field of robotics is going through a renaissance thanks to advances in machine learning and sensor technology. Each generation of robot is engineered with greater mechanical complexity and smarter operating software than the last. But what if, instead of painstakingly designing and engineering a robot, you could just tear open a packet of primordial soup, toss it in the microwave on high for two minutes, and then grow your own ‘lifelike’ robot? If you’re a Cornell research team, you’d grow a bunch and make them race. We are introducing a brand-new, lifelike material concept powered by its very own artificial metabolism. We are not making something that’s alive, but we are creating materials that are much more lifelike than have ever been seen before. Here, we report a bottom-up construction of dynamic biomaterials powered by artificial metabolism, representing a combination of irreversible biosynthesis and dissipative assembly processes. An emergent locomotion behavior resembling a slime mold was programmed with this material by using an abstract design model similar to mechanical systems. An emergent racing behavior of two locomotive bodies was achieved by expanding the program. Other applications, including pathogen detection and hybrid nanomaterials, illustrated further potential use of this material. Dynamic biomaterials powered by artificial metabolism could provide a previously unexplored route to realize “artificial” biological systems with regenerating and self-sustaining characteristics. Basically, the Cornell team grew their own robots using a DNA-based bio-material, observed them metabolizing resources for energy, watched as they decayed and grew, and then programmed them to race against each other. We would have made them compete in a karaoke competition, but Cornell’s application is also impressive. This work is still in its infancy, but the implications of organically grown, self-reproducing machines are incredible. And the debate over whether robots can be “alive” will likely have an entire new chapter to discuss soon. For a deeper dive you can read the research paper here. Washington: New research has found that plants use chloroplast-to-nucleus communication to cope with stress or damage caused by different sources. Plants regulate the genes expression via this communication that helps them to deal with various damage and stress. The study published in the Proceedings of the National Academy of Sciences (PNAS) could help biologists breed plants that can better withstand environmental stressors. According to the research a gene that integrates numerous chloroplast-to-nucleus retrograde signalling pathways, GUN1, also plays an important role in how proteins are made in damaged chloroplasts, which provides new insight into how plants respond to stress. “Climate change holds the potential to affect our food system dramatically. When plants are stressed, like in a drought, they produce lower crop yields. If we understand how plants respond to stress, then perhaps we can develop a way to increase their resistance and keep food production high,” said Joanne Chory, senior author of the paper. In plant cells, structures called chloroplasts convert energy from sunlight into chemical energy (photosynthesis). Normally, the nucleus of the cell transmits information to the chloroplasts to maintain steady energy production. However, in a stressful environment, chloroplasts send an alarm back to the cell nucleus using retrograde signalling (creating a chloroplast-to-nucleus communication feedback loop). This SOS prompts a response that helps regulate gene expression in the chloroplasts and the nucleus to optimize energy production from sunlight. Previously, the Chory lab identified a group of genes, including GUN1 that influence other genes’ expression in the cell when the plant experiences stress. GUN1 accumulates under stressful conditions but the exact molecular function of GUN1 has been difficult to decipher, until now. “Plants often experience environmental stressors, so there must be a chloroplast-to-nucleus communication pathway that helps the plant know when to conserve energy when an injury occurs. GUN1 turns out to play a big role in this,” said Xiaobo Zhao, first author of the study. To understand how GUN1 regulates chloroplast-to-nucleus communication, the scientists observed plants with functional and nonfunctional GUN1 under pharmacological treatments that could damage chloroplasts. In plants without GUN1, gene expression changed, as did RNA editing in chloroplasts. (RNA editing is a modification of the RNA that changes the identity of nucleotides so that the information in the mature RNA differs from that defined in the genome, altering the instructions for making proteins.) Some areas of RNA had more editing and other locations had less editing, suggesting that GUN1 plays a role in regulating chloroplast RNA editing. After further analysis, the team unexpectedly found that GUN1 partners with another protein, MORF2 (an essential component of the plant RNA editing complex), to affect the efficiency of RNA editing during chloroplast-to-nucleus communication in damaged chloroplasts. Greater activity of MORF2 led to widespread editing changes as well as defects in chloroplast and leaf development even under normal growth conditions. During periods of stress and injury, MORF2 overproduction also led to a disruption of chloroplast-to-nucleus communication. “Taken together, these findings suggest a possible link between chloroplast-to-nucleus communication and chloroplast RNA editing, which are important regulatory functions for flowering plants, especially during stress,” said Chory. Next, the researchers plan to examine the mechanism of how the RNA editing changes in chloroplasts activate signals that can be relayed to the nucleus, and how these modifications alter the ability of the plant to respond to stress. They think the needles carry undischarged electricity back up to clouds, creating more lightning bolts. It has always been a myth that lightning doesn’t strike in the same place twice, but now scientists think they know how multiple bolts can hit the same spot in rapid succession. Researchers using the LOFAR array of telescopes, originally designed for radio astronomy observations, have for the first time documented lightning “needles.” They think these needles, more than 300 feet long and about 15 feet wide, carry positive charges that are not discharged on the ground during an initial lightning strike back up to the thundercloud, creating successive strikes. Their findings were published this week in the journal Nature. “The LOFAR data allow us to detect lightning propagation at a scale where, for the first time, we can distinguish the primary processes,” Dr. Brian Hare of Groningen University, lead author of the story, said in a press release from the Karlsruhe Institute of Technology. To put it simply, lightning is basically a giant electrical charge. It starts when ice crystals collide in a thundercloud and create electrical charges. Those charges in turn can lead to a highly electrically conducive plasma channel, which makes it way to the ground in channels called lightning leaders. As for that myth that lightning never strikes twice? Linguists say it’s actually just a metaphor to illustrate how rare it is for something spectacular to happen to a person more than once. Not only can multiple strikes happen in the same lightning flash, as the researchers studied, but lightning from different storms can strike the same location separated by days, months or years. The National Weather Service says the odds of being struck by lightning in any given year are about a million to one. Yet being struck twice isn’t unheard of. A Texas man, for example, told a reporter he was hit by two bolts of lightning in 2013. A man in New Mexico told a local TV station he was hit three times. The study by the LOFAR research team showed that positively and negatively charged plasma channels behave differently during lightning initiation because of the needles they observed. NASA’s airborne observatory has detected the first type of molecule ever formed in the universe. This is the first time helium hydride has been found in the modern universe. 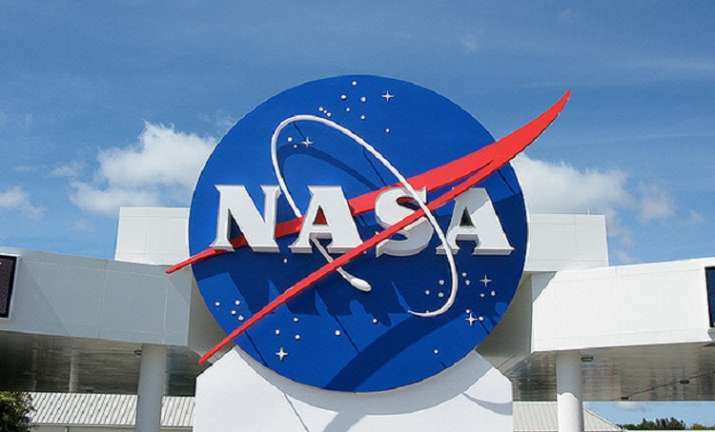 Scientists discovered the molecule in our own galaxy using NASA’s Stratospheric Observatory for Infrared Astronomy (SOFIA), as the aircraft flew high above the Earth’s surface and pointed its sensitive instruments out into the cosmos. SOFIA is a Boeing 747SP jetliner modified to carry a 106-inch diameter telescope. It found modern helium hydride in a planetary nebula, a remnant of what was once a Sun-like star. Located 3,000 light-years away near the constellation Cygnus, this planetary nebula, called NGC 7027, has conditions that allow this mystery molecule to form, NASA said in a statement. The discovery serves as proof that helium hydride can, in fact, exist in space, said the scientists in a paper published in the journal Nature. “This molecule was lurking out there, but we needed the right instruments making observations in the right position – and SOFIA was able to do that perfectly,” said Harold Yorke, director of the SOFIA Science Centre in California’s Silicon Valley. Helium hydride should be present in some parts of the modern universe, but it has never been detected in space. Helium hydride is a finicky molecule. Helium itself is a noble gas making it very unlikely to combine with any other kind of atom. In 2016, scientists turned to SOFIA for help. Flying up to 45,000 feet, SOFIA makes observations above the interfering layers of Earth’s atmosphere. But it has a benefit space telescopes don’t — it returns after every flight. “We’re able to change instruments and install the latest technology,” said Naseem Rangwala, SOFIA deputy project scientist. A recent upgrade to one of SOFIA’s instruments added the specific channel for helium hydride that previous telescopes did not have. Helium hydride’s signal finally came through loud and clear.